Hille Perl plays “Sarabande” from Cello Suite No. 5 by Johann Sebastian Bach. German virtuoso performer of the viola da gamba and lirone, Hille Perl plays “Sarabande” from Cello Suite No. 5 by Johann Sebastian Bach. 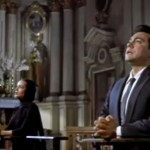 Mario Lanza sings Ave Maria by Franz Schubert. The great American tenor with Italian origin, Mario Lanza sings Ave Maria by Franz Schubert. The video is from the 1956 movie “Serenade”. 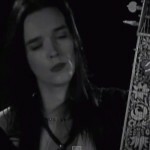 This successful production is recorded exclusively for EuroArts Music (see the sources). 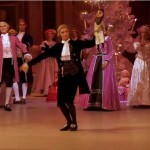 The film creates spectacular images of this great ballet production for the viewer. Under the direction of Andreas Morell, this historically unique Nutcracker promises to be a breathtaking experience. 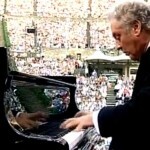 Khatia Buniatishvili plays Schumann’s Piano Concerto in A minor, Op. 54. Georgian concert pianist Khatia Buniatishvili plays Robert Schumann’s Piano Concerto in A minor, Op. 54. Frankfurt Radio Symphony Orchestra conducted by Paavo Järvi. Rheingau Musik Festival 2012 Wiesbaden, Kurhaus; August 23, 2012. 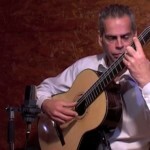 Renaud Capuçon performs the Romance for Violin and Orchestra No. 2 in F major, Op. 50. 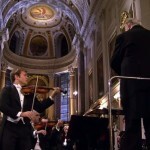 French classical violinist Renaud Capuçon performs the Romance for Violin and Orchestra No. 2 in F major, Op. 50, a piece for violin and orchestra by Ludwig van Beethoven. From the Church of St. Nicolai, Leipzig, Germany: 20 Years Peaceful Revolution – Leipzig commemorates the 9th of October 1989. Gewandhausorchester Leipzig (Leipzig Gewandhaus Orchestra) conducted by Kurt Masur. 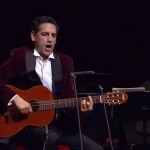 Peruvian operatic tenor Juan Diego Flórez sings three Mexican songs with guitar: Bésame Mucho, Cielito Lindo and Granada. On the occasion of the Eurovision Song Contest, a matinée was held in the Vienna State Opera on May 17, 2015: “Pop meets Opera”. On stage were opera stars such as Juan Diego Flórez, the ensemble “The Philharmonics” (musicians of the State Opera orchestra/Vienna Philharmonic), last year’s Song Contest winner Conchita Wurst and ESC candidates from various participating countries. Barbara Rett moderated. Russian concert pianist and composer Daniil Trifonov plays Wolfgang Amadeus Mozart’s Piano Concerto No. 23 in A major (K. 488) at the 13th Arthur Rubinstein Piano Master Competition in Tel Aviv. Israel Camerata Orchestra conducted by Avner Biron. 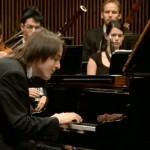 Trifonov won the First Prize. The best versions of Ah! Mes Amis from Gaetano Donizetti’s La Fille du Regiment. Juan Diego Flórez sings in Vienna (2007), and Luciano Pavarotti version is from 17 February 1972, at New York’s Metropolitan Opera. La fille du régiment (The Daughter of the Regiment) is an opéra comique in two acts by Donizetti. It was written while the composer was living in Paris, with a French libretto by Jules-Henri Vernoy de Saint-Georges and Jean-François Bayard.